Western multinationals are behind disasters like the Bangladesh factory collapse. Will public outrage and a new labor agreement lead to improvements for workers? The article from The American Prospect reports a long journey of finding justice for Bangladesh . 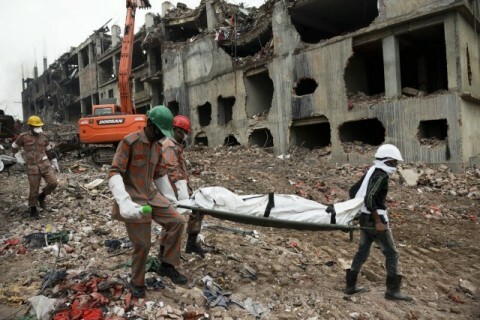 Thanks to the notoriety of the Rana Plaza collapse and the persistence of the global labor movement, anti–sweatshop activists in the U.S. and Europe, and an independent, labor-affiliated advocacy group, the Worker Rights Consortium (WRC), the tragedy in Bangladesh could open the door to more robust corporate accountability. A legally binding contract, signed May 15 by some 40 fashion brands, commits the big retailers and apparel producers to take responsibility for what happens in the factories that make the clothing they sell. Why Did Bangladesh Stocks Rise 30 Percent After the Building Collapse?